A Maricopa Police Officer was recognized recently for his efforts enforcing DUI laws in the city. Chief Steve Stahl nominated Officer Joshua Hawksworth in June for the Mothers Against Drunk Driving 2017 Law Enforcement Recognition and Awards Ceremony. Hawksworth accepted the award last week from the Tucson-based chapter of MADD Southern Arizona. In 2016, Hawksworth had 57 DUI arrests, making up 30 percent of the entire department’s arrests in the category, according to the nomination form. Hawksworth said his success is a product of what he has been taught. “I guess I have a sense for applying the training I’ve received and I just basically apply what I’ve learned and what others have bestowed on me,” Hawksworth said. In his experience, Hawksworth said most people he has arrested under suspicion of DUI are well over the legal blood-alcohol limit of .08 percent. It’s a risk he said is not worth taking. “A DUI is not just about you anymore. A DUI becomes about your family. You have the potential to lose your job and you’re definitely going to lose your license for a short period of time,” Hawksworth said. In addition to obtaining various certifications, Hawksworth became the agency’s drug-recognition coordinator and participated in seven DUI taskforce deployments. 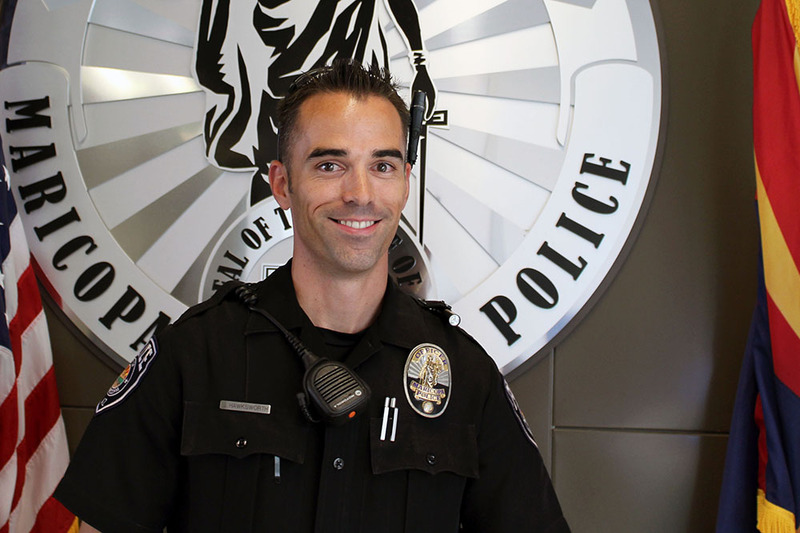 “Officer Hawksworth has made steps to not only improve the quality of his investigations, but also other officers’ through updating policies and obtaining additional certifications,” Stahl wrote in Hawksworth nomination form. MPD spokesman Ricardo Alvarado said the recognition demonstrates the department’s commitment to enforcing DUI laws. “It also shows that with the money that we received from the Governor’s Office of Highway Safety, we put it to good use by training officers and providing them with the equipment to put up the numbers that Officer Hawksworth put up for the past year to win this award from Mothers Against Drunk Driving,” Alvarado said.